I came across this post from a blog i follow. 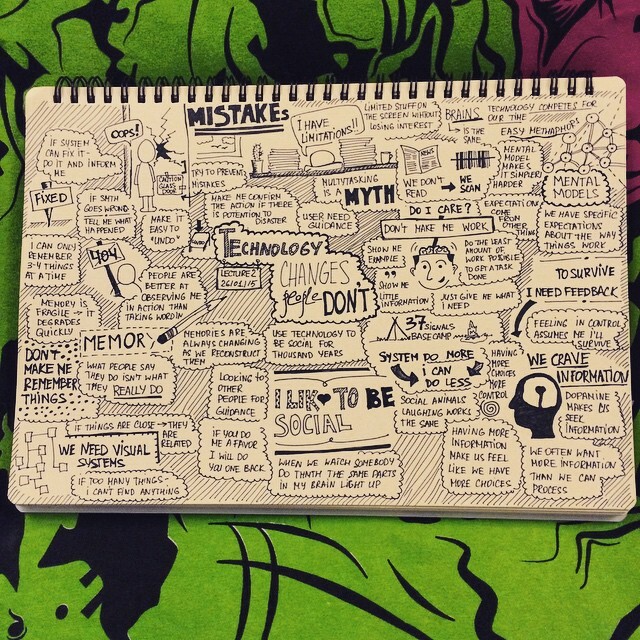 I love ‘sketchnoting’ and I wish I cold draw even this well. Some great ideas in these doodles. I am very proud that I finally allowed myself to devote time to a new “hobby” – sketchnoting. I was preparing for that about half a year – bought notebooks, pens. But I was too afraid to start. You probably know the reason – I can’t draw. But 2 weeks ago a came across “The Sketchnote Handbook” course on udemy by Mike Rohde. He is a genius. Not I still can’t draw, but I can sketchnote 🙂 So, sharing my first attempts on “User Experience Design Fundamentals” course.